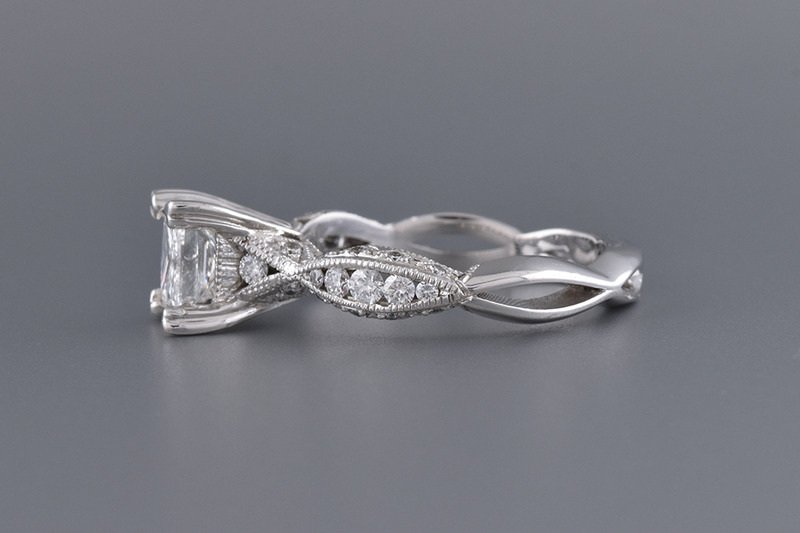 This stunning Tacori setting looks breathtaking from every angle. 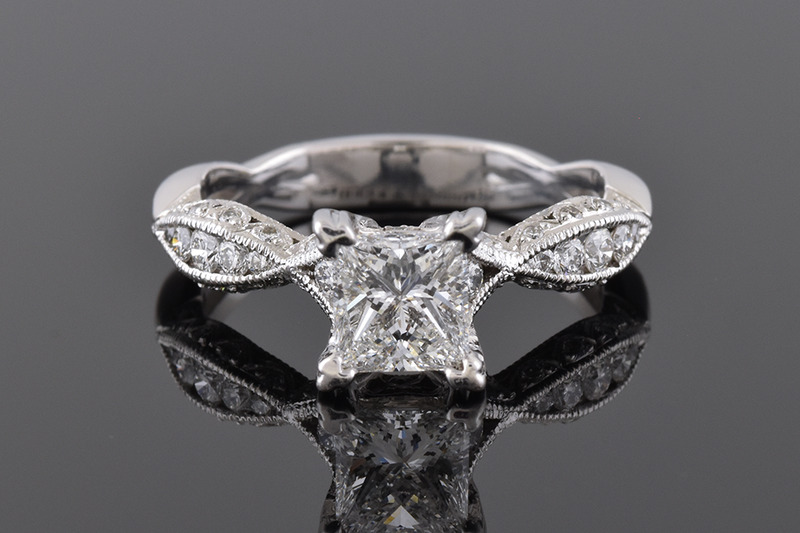 In the center is a 1.12 carat princess cut diamond with a color grade of E-F and a clarity grade of SI1-2. 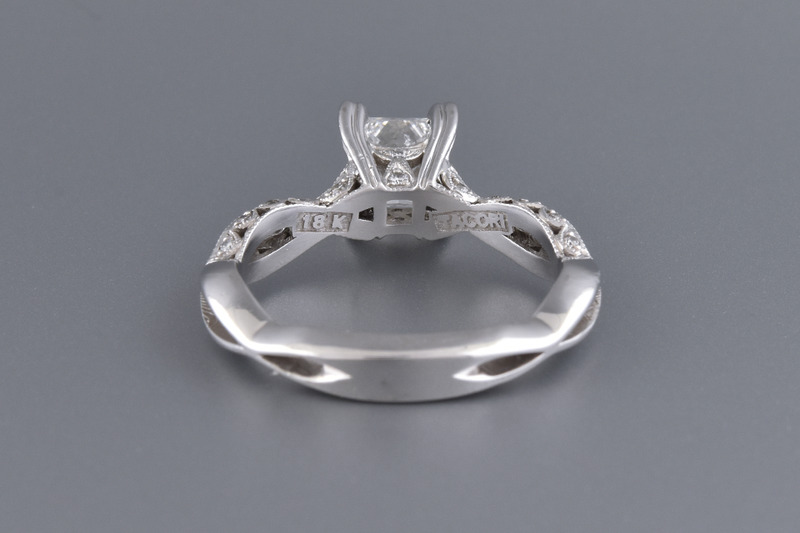 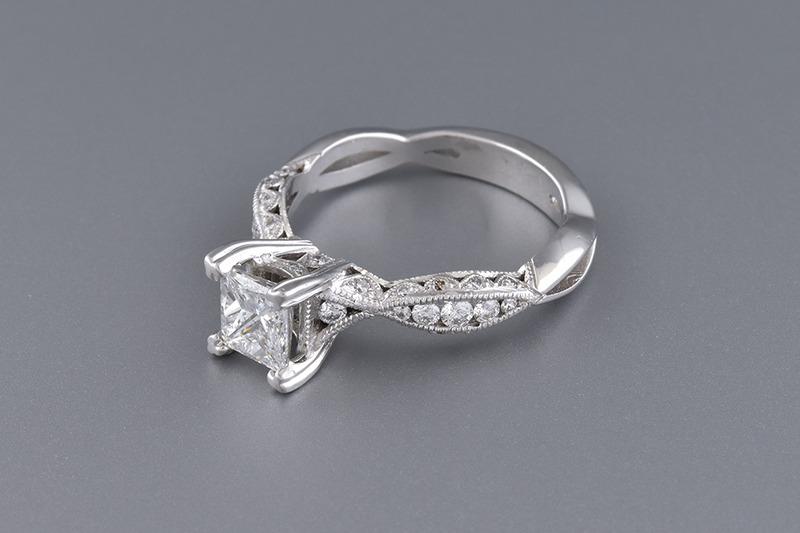 The 18 karat white gold setting contains an additional 36 round brilliant cut diamonds weighing a total of .50 carat.